And this view is only going to get better. 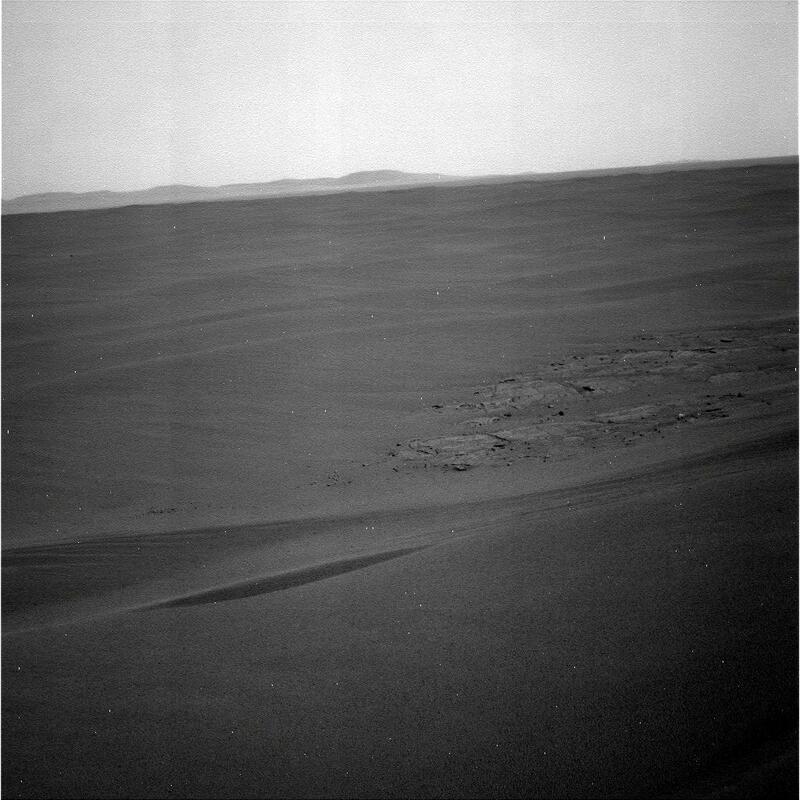 Oppy is currently chugging up towards the top of a kind of raised plateau, and once she reaches the top and trundles down the other side, the horizon will really open up ahead of her and we should get a fantastic view right across the wide open plain that she’ll have to cross in order to reach Endeavour. So, over the next few days, weeks and months, we’ll see those hills get closer and closer; we’ll see more details on them; they’ll become more and more familiar. 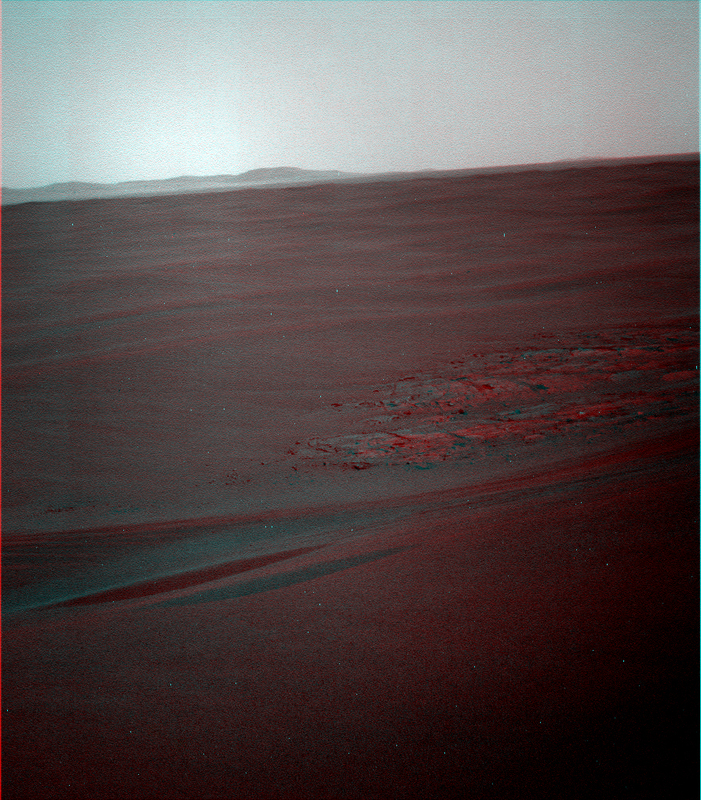 Will Oppy reach those magical, distant hills? Who knows? 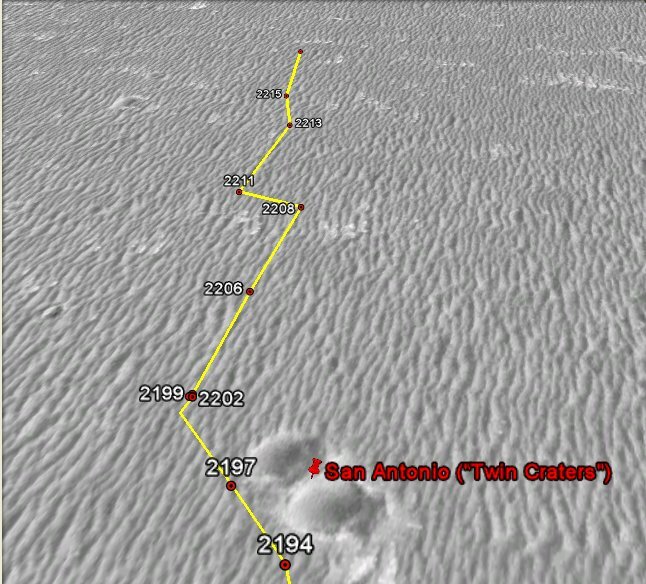 But she’s on her way, and thanks to the generosity of NASA we can all, virtually, walk beside her as she rolls on her way, drinking in the beautiful view as Oppy explores this beautiful alien world.